Crowdfund North Somerset is a new crowdfunding platform dedicated solely to supporting projects in North Somerset. North Somerset Council is working with specialist crowdfunding provider Spacehive to provide a new funding opportunity which will enable residents, local businesses and community groups to post their ideas on a dedicated North Somerset Spacehive crowdfunding platform. Project creators will be able to invite members of the public, local government, organisations and businesses to pledge funding towards a project they want to see become a reality in their community. Projects might take the form of pop up shops and events, community broadband, festivals and events, play trails, improvements to popular public spaces, bringing a disused building back into use for the community- ultimately the type of projects that the local community want to see happen and will financially back them to make a reality. As part of this 'Crowdfund North Somerset' campaign, residents and businesses will also be able to apply for up to £5,000 pledge from the council to support their project. To qualify for a financial pledge the project must be able to link their project to key outcomes outlined in the Council’s Corporate and Economic plans to ensure their project will be of benefit to the local economy. The aim is to make limited budgets stretch further, deliver tangible outcomes that will benefit the local economy and empower people to deliver projects that have local support and can attract financial backing of local residents and businesses. Full details can be found on our North Somerset platform. can also provide advice on sources of business finance as part of the service to new and growing businesses. Visit our case study North Somerset Enterprise Agency. Find government-backed support and finance for business, including:grants, finance and loans, business support eg mentoring, consultancy, funding for small and medium-sized businesses and start-ups. The new West of England LEADER programme is now open for applications for grants from rural businesses and communities across North Somerset, South Gloucestershire and Bath & North East Somerset. Eligible businesses and communities can apply for grants for capital projects to help support their growth and sustainability. Applications for investments from £10,000 up to £100,000 can now be made. The West of England Local Action Group will be delivering these funds as part of the Rural Development Programme for England (RDPE), with the money made available through the Department for Environment, Food & Rural Affairs (Defra). The LEADER programme is primarily designed to promote business growth and stimulate job creation. The programme is focused on rural areas and its priorities are supporting micro and small rural businesses, farm diversification projects, forestry projects, tourism projects, rural services and cultural and heritage projects. 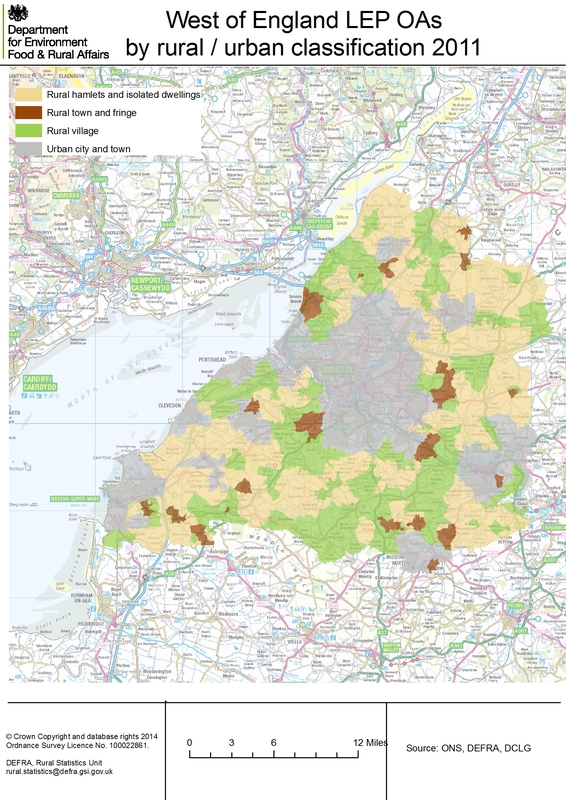 If you are a rural business or community organisation and think this capital funding might help your bring forward your plans then please visit westofenglandrdp.org.uk for full details on the eligibility criteria, application process and a map showing which areas qualify for funding. Through this Food Processing call the LEP is seeking to encourage applicants who can innovate within the food and drink sector, strengthen and develop local products, and link with the Junction 21 Foodworks Programme. Through the Tourism Infrastructure call the LEP is seeking to develop rural tourism to maximise the economic and employment benefits. We are encouraging projects that support businesses to invest in facilities and infrastructure that develop tourism, raise quality and encourage longer stays and higher spend. The rural tourism sector offers a significant opportunity for growth in developing the all year round destination offer and improving the quality of tourism products. This can benefit the wider economy of rural areas through high spend on rural attractions and accommodation as well as an increase in tourism based enterprises and job opportunities. The West of England LEP has identified that access to finance (including grants) is a barrier to growth for rural SME’s. The call for Business Development funding will seek to address some of the specific issues and will allow diversification of farming businesses into non-agricultural activities, support creation of new product lines and processes and will support applicants to enter into new markets including new and/or increased export activity. For details and to download an application form and guidance notes visit the SSL website. For details of the Quartet Community Foundation and the Fredericks Foundation microloan programme visit the Fredericks Foundation website. A not-for-profit organisation and member of the Community Development Finance Association. They support small and medium sized businesses across the South West. SWIG Finance (https://www.swigfinance.co.uk/start-up-loans/) is part of a network of official Start Up Loans delivery partners across the UK who administer the government-backed scheme from The Start Up Loans Company. As well as financial backing all loan recipients are given access to a mentor, free training events and exclusive business offers.